What’s in it for me? Approach investing like a rich person would, and become rich yourself. 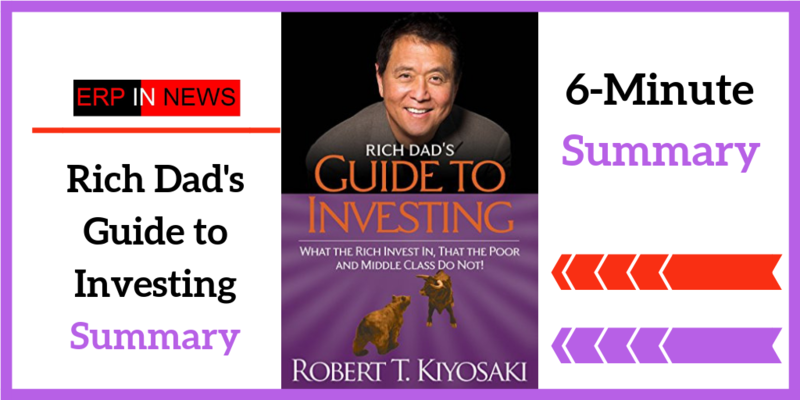 Rich dad’s guide to investing summary – Which sounds better: being financially comfortable or being rich? Deep down, most people want to be filthy rich – but they also tend to feel that the future is already decided for them and that they’ll never actually be rich. But how rich you are or aren’t is up to you: if you make the decision to be rich, and adopt the mindset of the rich, there’s no reason at all why you can’t achieve that goal. First, however, there are a few things you’ll need to learn, as there are no “get-rich-quick” schemes that actually work. In practice, becoming rich means investing in financial education and literacy until analyzing financial statements becomes second nature. It also means learning how to create and grow a business and then using the experience and money you’ve accumulated to make more and better investments. why “get an education, work hard, save money” is bad advice. The richest 10 percent have 90 percent of the money because they invest in a way that the poor and middle classes do not. Maybe you’ve heard of the 80-20 rule, which states that 80 percent of our success comes from 20 percent of our efforts? Well, that might be true for overall success – but for money, the rule is 90-10, because when it comes down to it, 10 percent of people have 90 percent of the money. The rule applies in many walks of life. Think about Hollywood stars, and then think how many actors are waiting tables between gigs. Yep, 10 percent of actors earn 90 percent of the money. The same goes for athletes, musicians and, of course, investors. A Wall Street Journal article confirmed this, noting that 10 percent of the population own 90 percent of all the shares in the United States. Why is it that rich people can accumulate so much wealth? Well, one reason is that some investments are simply off-limits if you’re poor. Back when he was a young man with little cash, the author asked his rich friends if he could get involved in their business deals. But, despite their friendship, the answer was always no – not because they didn’t want to help him out, but because it would have been illegal. In the United States, the US Securities and Exchange Commission restricts certain investments to accredited investors – that is, people with a net worth of $1 million, or a consistent annual income of $200,000. Anyone who is worth, or makes, less than that simply isn’t allowed to get involved. Now, there are good reasons for preventing people without much money in the bank from making potentially risky investments. But these rules also prevent poorer people from making the best investments – the investments of the rich. So how can you break into that top 10 percent? The first step toward being rich is to adopt the mindset of the rich. “Get an education, work hard, save money. Then you’ll be fine.” Sound familiar? This sentence sums up the standard middle-class approach to financial security and, more likely than not, you were probably told something similar by your parents. But here’s the thing: this advice will never make you rich. Rather, it will keep you in the 90 percent that only has 10 percent of the money. So how do the rich approach financial gain? They certainly don’t toil away at one job until retirement; instead, they purchase businesses and make investments.